← Mesa Latin Kitchen, Muy Bueno! 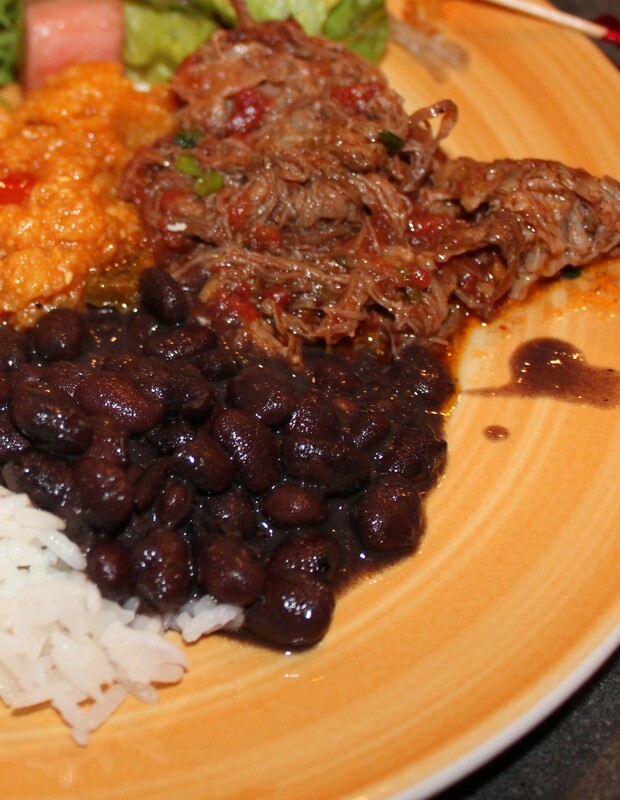 If you read my last post about Mesa Latin Kitchen, you may remember that one of my favorite dishes on the buffet was the Ropa Vieja, a shredded beef and vegetable stew that is popular in Latin America. 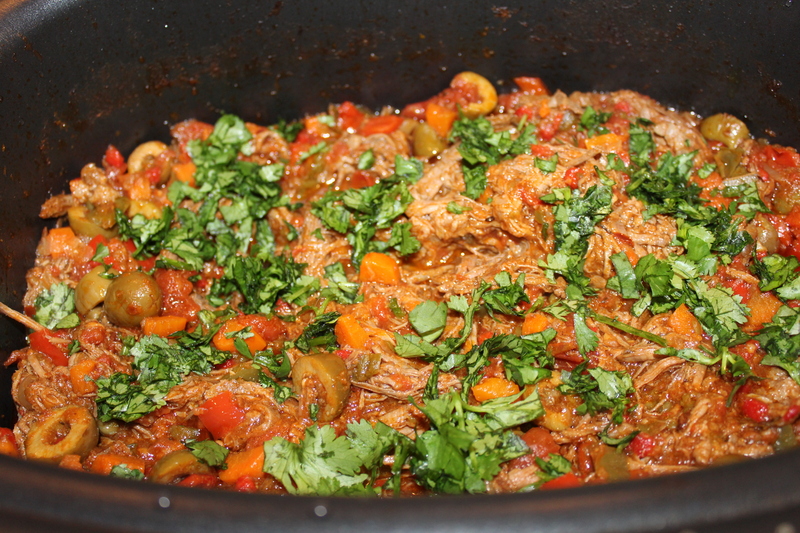 It was so absolutely wonderful that I knew I’d have to recreate it in my own kitchen, especially since I love braised meats as well as tomatoes and olives, which are the true stars of this dish. 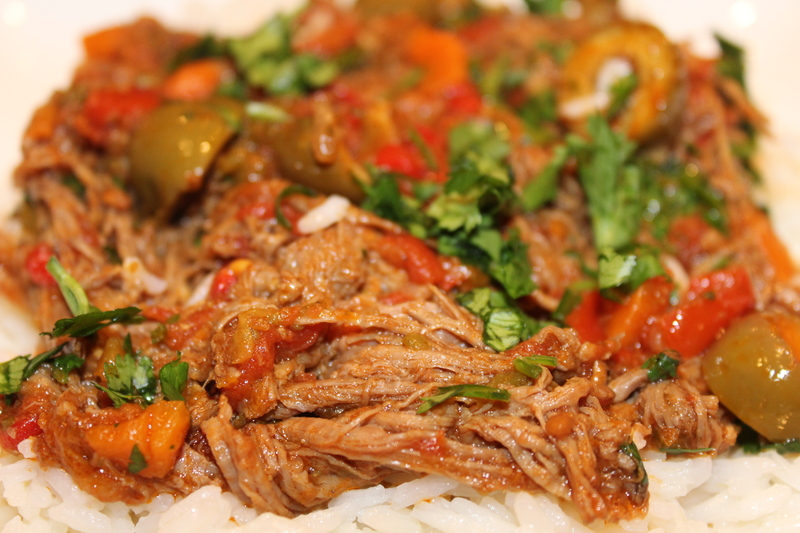 Since I had never cooked Ropa Vieja before and didn’t have Mesa Latin Kitchen’s recipe, I searched online and decided to combine a few of them, relying heavily on Saveur’s Cuban-Style Shredded Beef and Emeril Lagasse’s Ropa Vieja. 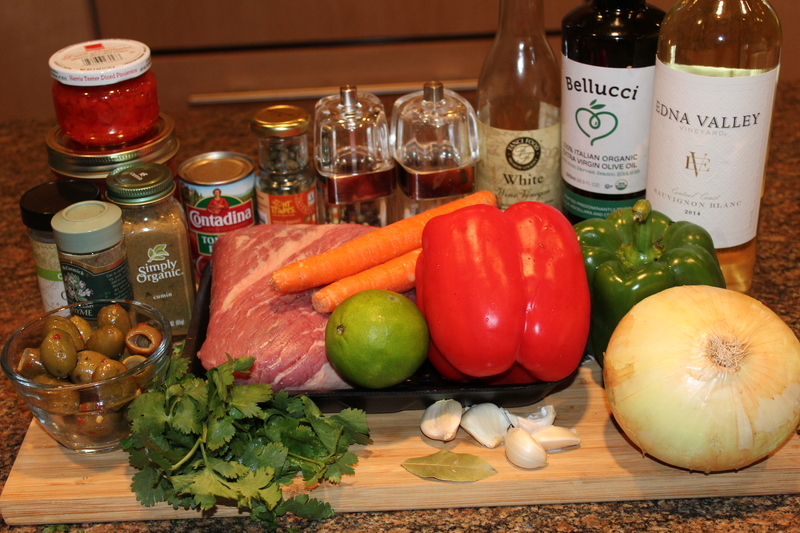 Most of the recipes I looked at called for flank steak, but I went with Chef Lagasse’s choice of beef brisket, mainly because it was the better bargain when shopping. 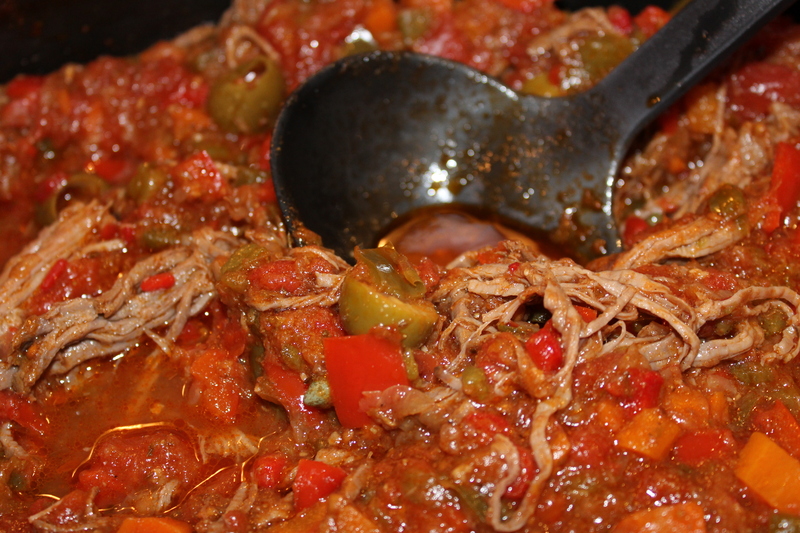 Either cut of meat will work, as long as it’s pull-apart tender once it’s cooked. I used my Ninja 3-in-1 Cooking System to easily sear the meat and then slow cook it, but you can use a big Dutch oven instead. I’ve included tips for both vessels in the preparation section. So was my creation as wonderful as Mesa Latin Kitchen’s? Probably not, but on the other hand it was pretty darn close. 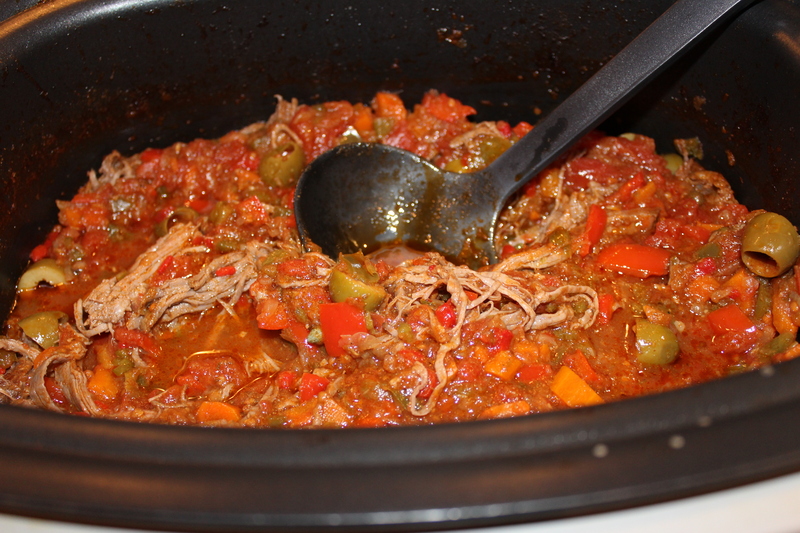 Oh, and before I forget – this stuff is even more awesome the next day once the flavors have had even more time to meld, so make enough for leftovers – you will thank me later! Heat olive oil on high on the stove top setting if you’re using your Ninja, otherwise on medium-high in a large Dutch oven. 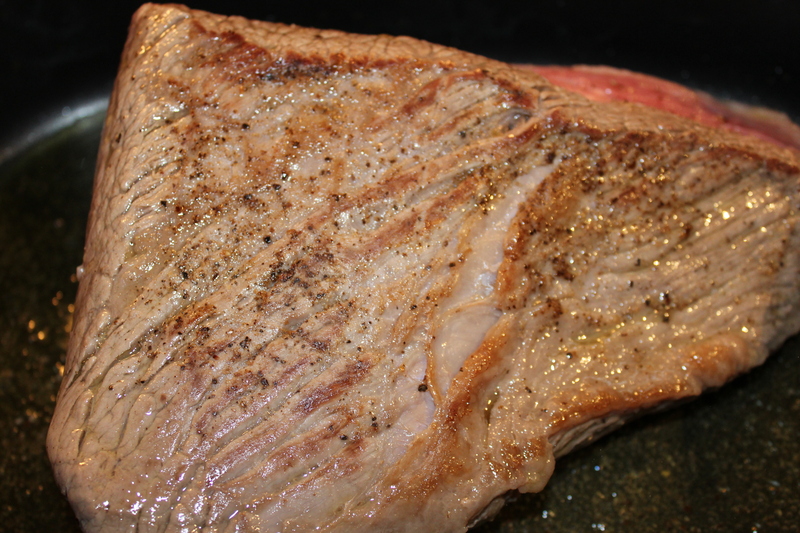 Season the brisket with salt and pepper, place in the oil and cook until browned on both sides (about 5 minutes) and transfer to plate. 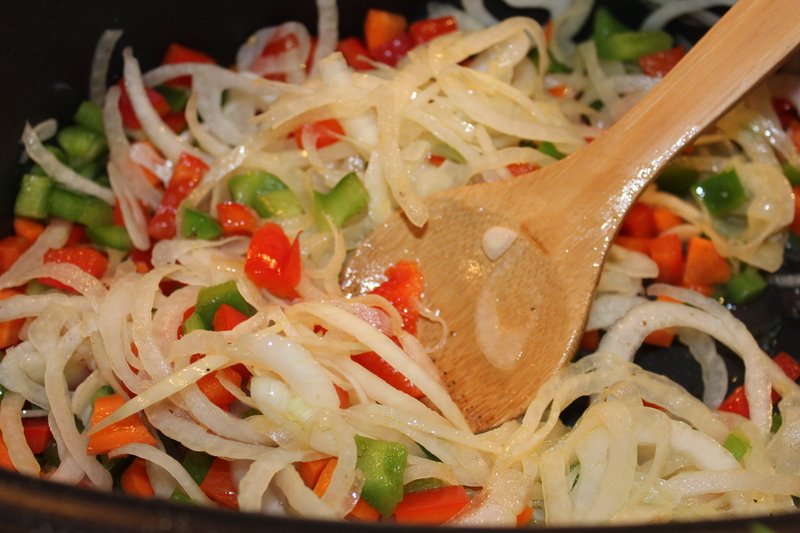 Add the onion, red and green peppers, carrots and jalapeño and sauté for 3 to 5 minutes. 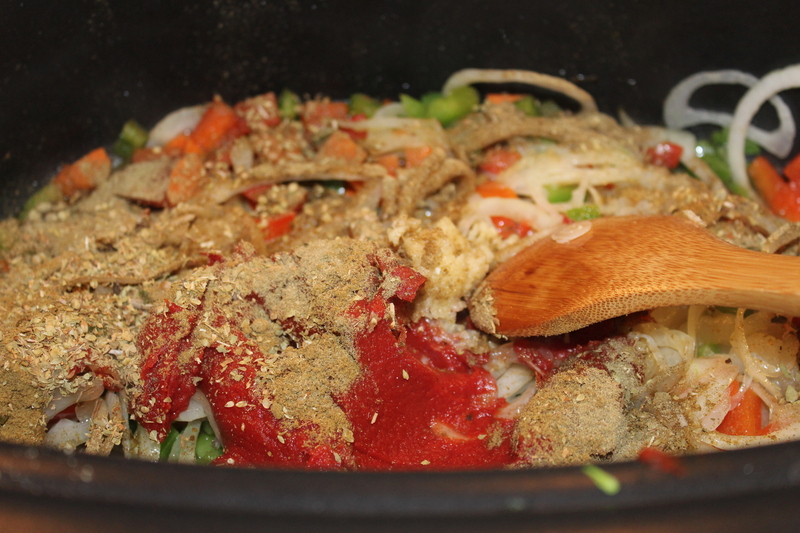 Add tomato paste, cumin, thyme, oregano, garlic and bay leaf and sauté for another 3 to 5 minutes. Stir in the wine and cook for a couple of minutes. 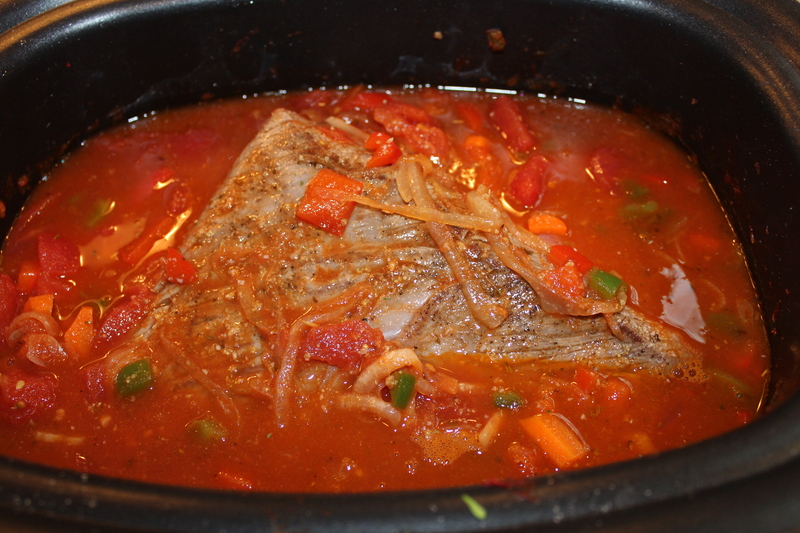 Place the brisket in the pot, add the water and tomatoes, and bring to a boil. 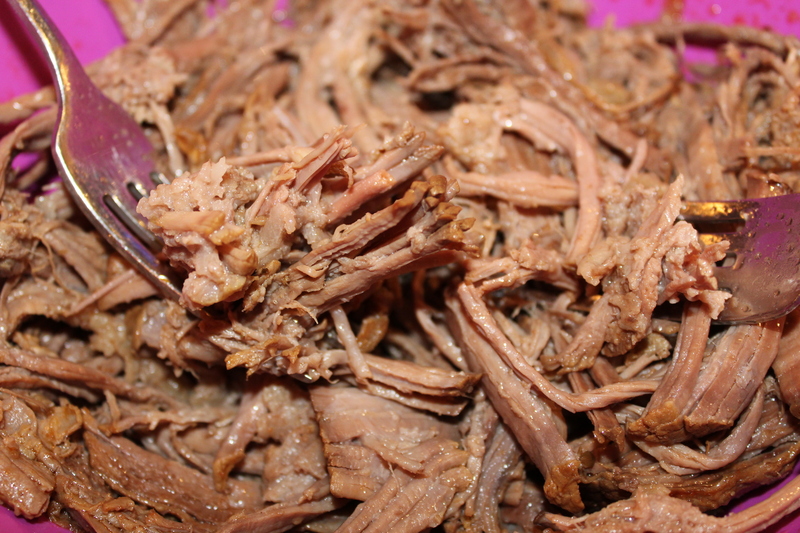 If you’re using the Ninja, turn it to the slow cooker setting of high and set the timer for 4 or 5 hours (for the Dutch oven, reduce the heat to medium-low and cook for 2-3 hours, covered) until the brisket is pull-apart tender. Remove the brisket and shred it with a couple of forks, removing any fat. In the meantime, place the veggies, tomatoes, etc. 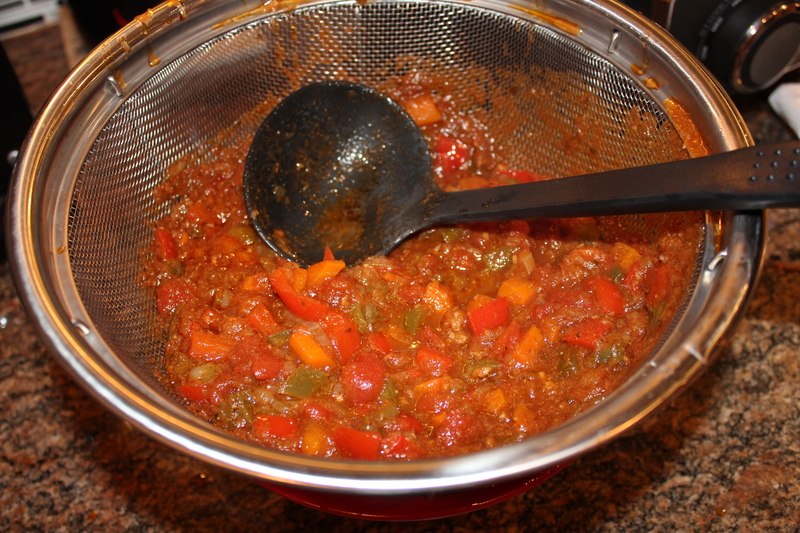 in a large colander and let drain to remove some of the grease that accumulated while cooking. 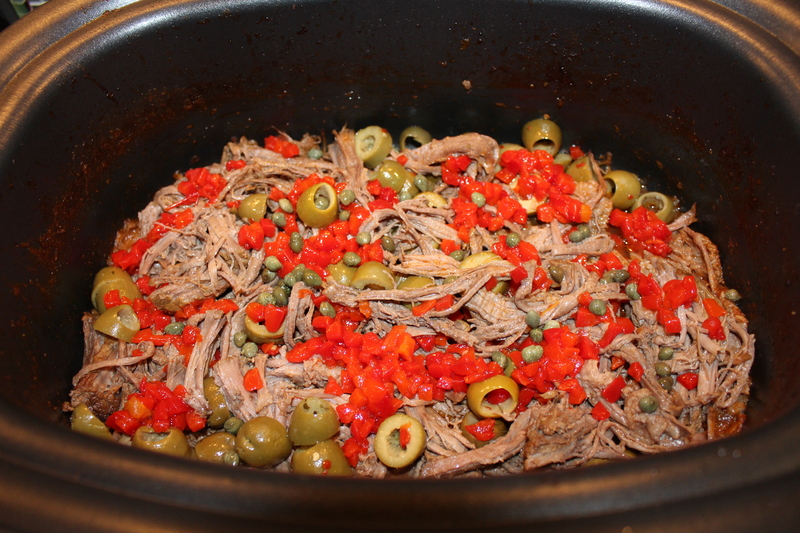 Return the shredded meat to the pot and stir in the olives, pimientos, capers, vinegar and lime juice. Garnish with the cilantro before serving. This is awesome served over rice, but you could easily substitute egg noodles or some other type of pasta if desired. Serve with some seasoned black beans if desired, like I did at Mesa Kitchen. And don’t forget the sangria or wine —a Pinot Noir will pair nicely with this! 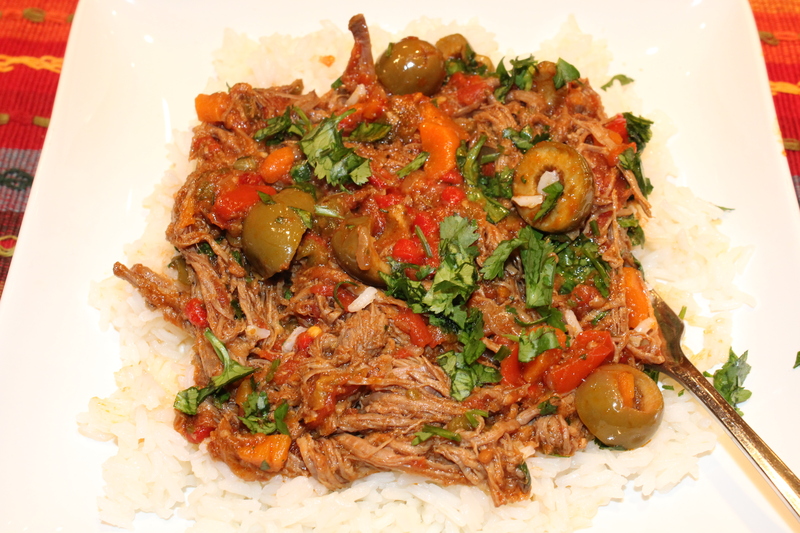 This entry was posted in Meat and Poultry, Recipes, Slow Cooker, Soups and Such and tagged Cuban style shredded beef recipe, eat drink and be merry, Kel's ropa vieja recipe, Kelley Chisholm recipes, Latin American beef recipe, Mesa Latin Kitchen ropa vieja. Bookmark the permalink.